Will Bitcoin disrupt the remittance industry? From banking to peer-to-peer platforms, is Bitcoin the next to make its mark on the remittance industry? The digital age has seen the rise of new players shaking up the money transfer market. From banking to peer-to-peer platforms, is Bitcoin the next to make its mark on the remittance industry? Bitcoin, termed as ‘a peer-to-peer electronic cash system’ by its inventor Satoshi Nakamoto, or ‘the Internet of Money’ more generally, is a digital currency that is totally electronic, operating independently without the need of a bank or middleman, and was introduced to the world in 2009. It is intended to help people avoid the common downsides of the ‘traditional’ money transfer, such as high transaction fees, higher risk and lengthy settlement periods. 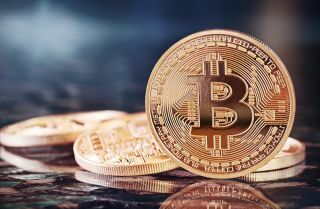 But, as with any new technology, the network is under the lens about whether or not it really acts as an effective alternative for transferring money. What’s holding you (and your business) back? Before getting to the nitty gritty, let’s take a closer look at the barriers to entry of Bitcoin. Why might you hold off joining the Bitcoin community? Not being well versed on the terminology, finding it too difficult to get started and privacy concerns are common reasons as to why someone might be apprehensive about using the network for money transfers – personally or for businesses big and small. As with any new technology, or rather, anything in its early stages, it takes time to grow a great reputation. A key issue with Bitcoin (at least at this point in time) is that it is yet to have its name in lights. A name that the major banks, and competitor money transfer digital services, like Apple Pay, take in their stride. It’s a competitive market, and trust means everything, especially where money is concerned. Despite its current setbacks, Bitcoin is abundant with opportunity. One of it’s major affordances is that it is totally electronic and built for the Internet. It’s a modern service that is meeting the needs of emerging markets and the evolving digital world – dare I say it’s setting itself up to be future-proof! Saying that mobility is important is an understatement. In today’s society, applications and services need to be mobile-friendly if they want to be used. It’s a fact. It’s the major way that the Internet is delivered to the world. It’s what makes Bitcoin a key player against banks and traditional services. Think about it. Sure, mobile banking isn’t difficult (on a scale where difficulty is defined as rocket science), but typing in your card number on your mobile can grow tedious over time. Enter Bitcoin. Aka: the service where you don’t have to do that. Bitcoin is built for the Internet and it is definitely mobile-friendly. So how does it weigh up from an ease of use perspective? Why isn’t it yet the go-to solution for businesses across the globe? The how and the who: tell the platform how much you want to transfer and who you want it to go to. The action: send your money through the platform. Your provider will take care of the rest. It’s that simple. You also have a central authority if something goes wrong (peace of mind is a beautiful thing). This is arguably one of Bitcoin’s greatest challenges. Make it Bitcoin-friendly: deposit your currency onto a Bitcoin platform. Get Bitcoins and send them: once your currency is within the platform, purchase Bitcoins and send them to the recipient of your transfer. Receiving the transfer: your recipient then does the reverse, selling the Bitcoins for currency on a Bitcoin platform. Completing the transfer: your recipient withdraws the currency and moves it to their bank account. The process is more involved when compared to traditional transfer services. Another thing to be mindful of is that there is no middleman. Transactions cannot be reversed, so trust is important. Sure, this means that you have complete control over your transactions and additional fees can’t be applied without your knowledge, but make sure you fully trust who you’re transferring to, because once a transaction is complete (and call me dramatic here), there really is no going back. Completed Bitcoin transactions are usually confirmed on the blockchain – a database recording all Bitcoin transactions – in about 10 minutes. Compared to traditional money transfer services, this is a much speedier process. That being said, we can’t disregard the time it takes to convert the currency into Bitcoins, followed by the process of having to convert the Bitcoins back into currency and withdrawing it (as outlined above). Depending on where you’re transferring to, this can be equivalent to traditional services. From an international point of view, both Bitcoin and traditional services will take up to a few days. In contrast, domestic wire transfers can be as quick as a few hours, and some major banks, such as Western Union and MoneyGram, can complete in-person transfers in just a matter of minutes. So what’s the best for you? Arguably, one of Bitcoin’s greatest benefits is its ability to say goodbye to intermediary bank fees (cue: the sounds of a crowd going wild). Traditional money transfer services usually make a profit through transaction fees and the exchange rate when your money is converted. You may still be required to pay a small fee on Bitcoin to have your transaction added to the blockchain, or pay higher fees in order to have your transaction prioritised within the network. Despite this, it is usually significantly cheaper than bank fees, some of which are even hidden until the transaction is completed. If we focus on the exchange rate, using traditional money transfer services means you’ll only lose out once, transferring one flat currency to another. Unfortunately for Bitcoin, you’ll lose money based on the exchange rate twice – when you trade your flat currency to Bitcoins, and again when you trade your Bitcoins back to flat currency. Double-charging is one of Bitcoin’s setbacks. However, as intermediary bank fees aren’t in the picture, completing a proper comparison on how to transfer money using different methods is one of the most important steps you can take before actioning your money transfer. Weigh up different fees (and clue up about those hidden ones), know your options and determine what’s really going to be the most cost effective for you. In terms of ease of use, transfer speed and cost, Bitcoin doesn’t stand enough apart from key competitors, such as banks’ traditional money transfer processes, in order to become the number one choice for business transactions in the remittance market. It can’t be denied that Bitcoin has the right idea. It’s designed for the Internet, it’s mobile-friendly, and it understands the changing digital landscape. With any new tech development, it takes time to grow a strong reputation and iron out any creases. There is definitely the potential for Bitcoin to become a key player if it was made less complicated for users and provided a competitive edge – either on ease of use, transfer speed, or cost – or all three to take the world by storm.